Married : first photos | escaped. 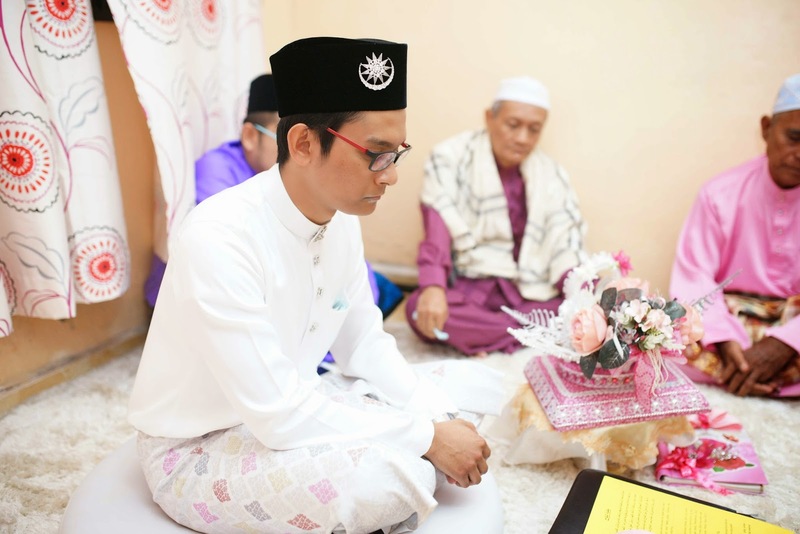 Received our wedding photos from our official photographer, Amalina Tuna Photography. That reminds me, I haven't blogged about selecting the photographer part yet! Gahh. Granted, it wasn't that difficult for us - we went to a wedding carnival (where lots and lots of wedding-related vendors assemble, open booth and set up pameran for the whole day for the bride-to-bes to survey), surveyed the photographers there, shortlisted to a few of them who won't mind traveling up north for an event to shoot, and picked. A lot of people were against our decision to spend on sponsoring photographers all the way from KL to Penang, but if there's one thing I'm particular about, it's the wedding photos. We had no time to meet up with Penang photographers (did research a bit on them, but so many of them lack portfolios for long-distance clients) and once we found out the estimated cost to bring the photographers to Penang, we agreed to pay. 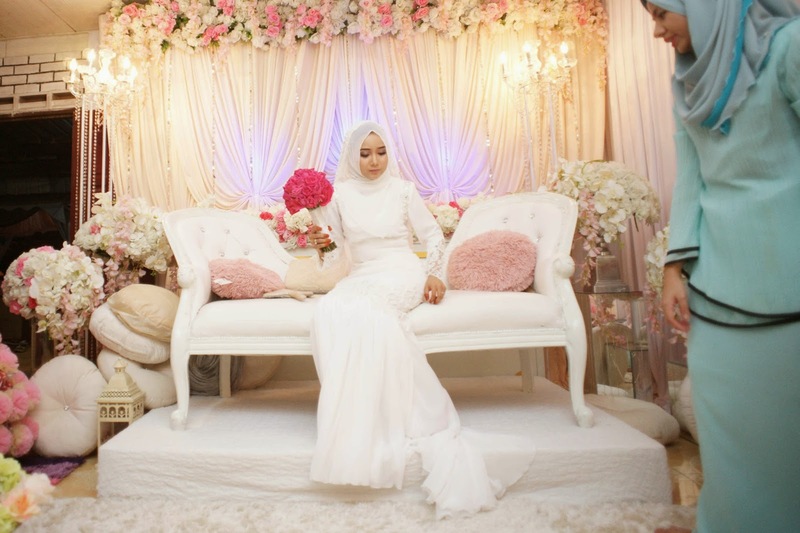 Amalina Tuna Photography was within our budget, Alhamdulillah! Receiving your official wedding photos in bulk is one of the greatest things in life. Didn't even know where to start. Shahrul before the akad, which he did in one lafaz. I lost my bet. Honestly, that chair was too big than what I imagined. But aided the ceremony when we wanted to take photos with our family - can fit a lot of them in there LOL. Am still reviewing each of them to decide which one to print out, to give to our families and to friends. I don't know how people do it -____-"
Will be breaking the posts to different parts, so stay tune! It was the first thing I surveyed hahaha. No worries, start now!